Our recording feature works differently according to the videoconferencing engine connected with your account. The two choices are Zoom or VSee, and the instructions below are applicable to the two possible options on Zoom-accounts: local recordings and cloud recordings. This must be configured for your account by a SecureVideo staff member. Local recordings require that you be on a Windows or Mac computer, and not a mobile device, as the recording will be saved direct to the computer. With local recordings, the host is responsible for providing security for them--as local recordings are stored outside of the SecureVideo environment, they are not covered by our Business Associate Agreement. The local recording feature can be enabled for free by contacting [email protected] . 1. Once the session has started, move your cursor over the video windows so that the extended menu panel appears below. 2. 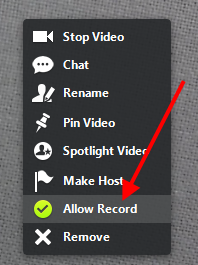 Click on the Record button to start recording. 3. Once the session has ended, the recording file will be uploaded to your account. If notification setting is enabled, you will receive an email once it is available for viewing. Local recordings require that you be on a Windows or Mac computer, and not a mobile device. 3. Once the session ends, the recording file will be finalized and you will be prompted to save it to your computer. Select "Desktop" in your directory so that it'll be easier to find later. 4. Follow the instructions in Recordings: Upload a recording file if you would like to securely store the recording with SecureVideo. 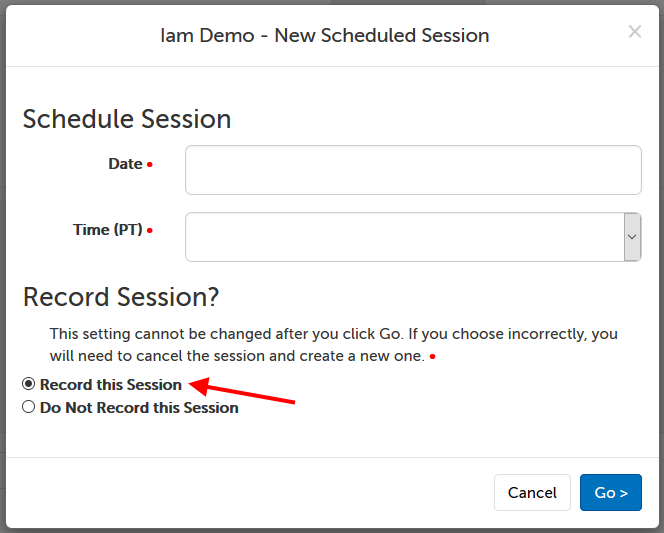 In order to allow a participant to record, both you AND your participant must be on a computer, not a tablet or smart phone, and only the Local Recording option (not cloud recording option) should be enabled on your organization account. 1. 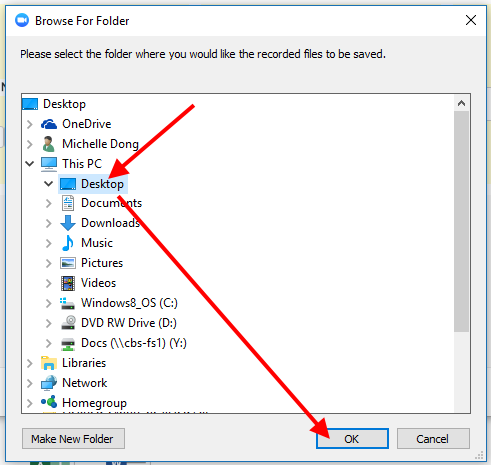 On a Windows computer, right-click on the video window of the participant you want to allow recording for, and click "Allow Record". On a Mac computer, left-click on the video window of the participant you want to allow recording for, and click "Allow Record". 2. Your participant should see a little message on their end confirming they've been allowed to record, and can click on the Record button to record.